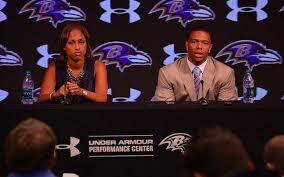 If Ray Rice’s performance today mirrors that of this press conference, he should never talk to the media again. Baltimore Ravens tailback Ray Rice should heed that lesson and hang up on the media before his scheduled appearance today. Rice got what amounts to half of the suspension given to NFL players who take a hit off a joint for knocking his girlfriend unconscious, and that is the equivalent of completing a trade – a really good trade. Regardless of what happened inside the elevator, Rice’s two games of detention is an extremely light penalty for a serious incident of domestic violence. 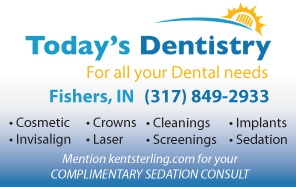 When you get great news, say thank you and move along. If Rice says the wrong thing, it will give NFL commissioner Roger Goodell the excuse he needs to re-open discussions about the penalty and bring down a hammer that will be more to the liking of female NFL fans, who comprise 35% of all television viewers watching pro football. How hard is it to avoid saying the wrong thing? In a situation like this, it’s damn hard. Just ask ESPN’s Stephen A. Smith. He’s a very well-compensated communicator, and is currently sitting through a one-week suspension issued by the Mothership for insinuating that Rice’s then-girlfriend, now-wife might have “provoked” Rice’s violence. If Rice isn’t perfectly contrite – if he talks about his violence as stemming from her violence – the recently calmed cacophony will explode, and those hoping for a more serious response from Goodell to a very public incident of domestic violence will have the spark needed to re-ignite a nearly extinguished blaze. Having nothing good to say is a good reason to shut the hell up, and that is exactly what Rice should do. It’s almost impossible to imagine him winning this press conference. Blame her – lose big. Refuse to answer specific questions about what happened in the elevator and look like you are hiding something – lose. Refuse to take questions after reading a statement – lose because no one will believe he wrote the statement. Speak extemporaneously without notes, but say something glib – catastrophic loss. If he defends his behavior or paints himself as a co-victim – loss from which Rice will never recover. Apologize to everyone and reveal what happened in the elevator, but imply that he was provoked – see reaction to Stephen A. Smith. Apologize but not mention what motivated the attack – lose because you hit your girlfriend unprovoked. If Rice’s performance appears to be as awkward as his press conference on April 23rd alongside the woman he rendered unconscious, the hue and cry from the quite sizable and growing anti-domestic violence lobby will be deafening. The one thing Rice needed to do at that appearance was express contrition to his victim, and that was the one thing he did not do. The media are generally a dunderheaded group who lap up what is fed to them, but in these instances they can be clever with questions as they try to uncover the truth and provoke an emotional response. It’s like walking into a cage with a blind lion. Avoiding its bite appears to be easy until it isn’t, and then the cost is immense. Rice should continue to do what he does best, prepare to play football in Week Three. What he shouldn’t do is exactly what it appears he is going to do – dance around a pride of blind lions with an acute sense of smell for a ripe victim. This entry was posted in Featured Story, Kent Sterling, Media, NFL and tagged Moneyball, Ray Rice domestic violence, Ray Rice media, Ray Rice press conference, Roger Goodell on July 31, 2014 by Kent Sterling.